Denne model er 173 cm og bruger en størrelse S. Brystet måler 84 cm og taljen 64 cm. 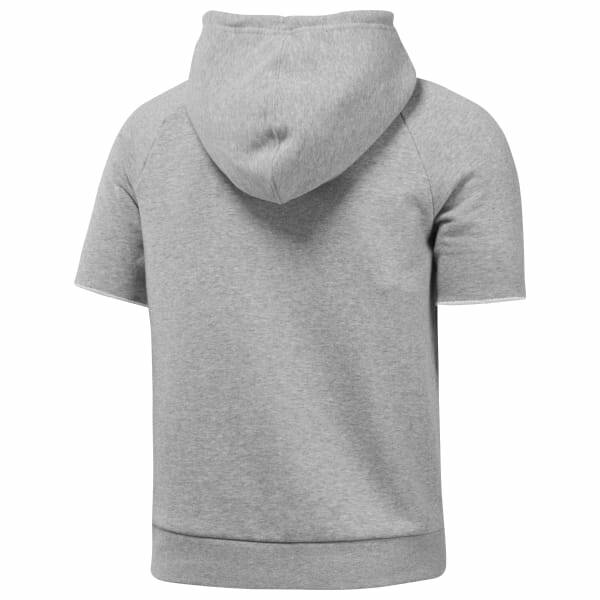 Steep your wardrobe in athletic inspired looks with the help of this short sleeve sweatshirt. French terry fabric pumps up the comfort while cut off sleeves amp the edge. Pull on this hoodie for your warm up or daily style.